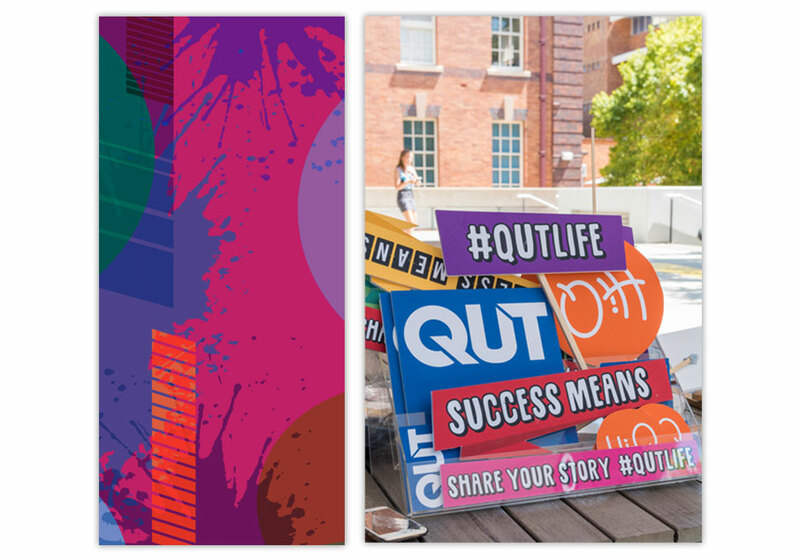 A selection of programs I created for HiQ screens as Digital Media Officer at QUT. Watch the videos below to see the programs in action. 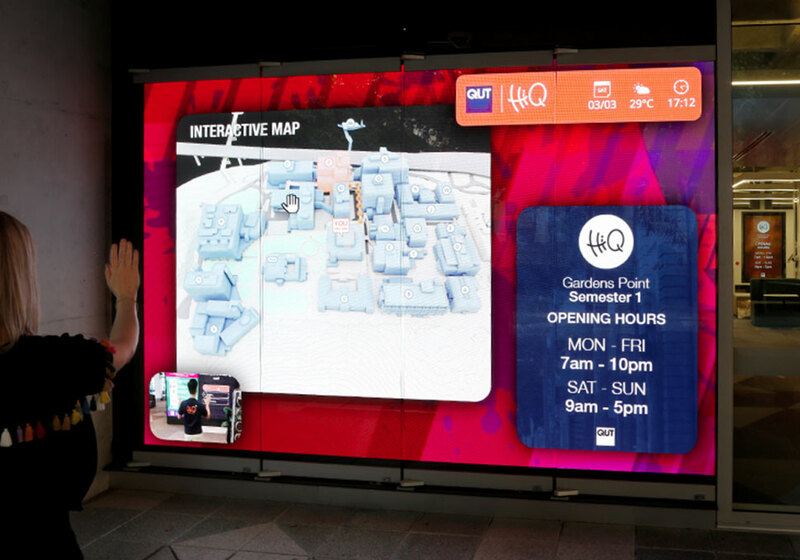 Interactive screens encourage engagement, but they also act as service solutions at HiQ. They provide self service as students use screens to get the answers they need. Videro software also allows configured devices to speak to each other, which means content can be sent from one device to another. 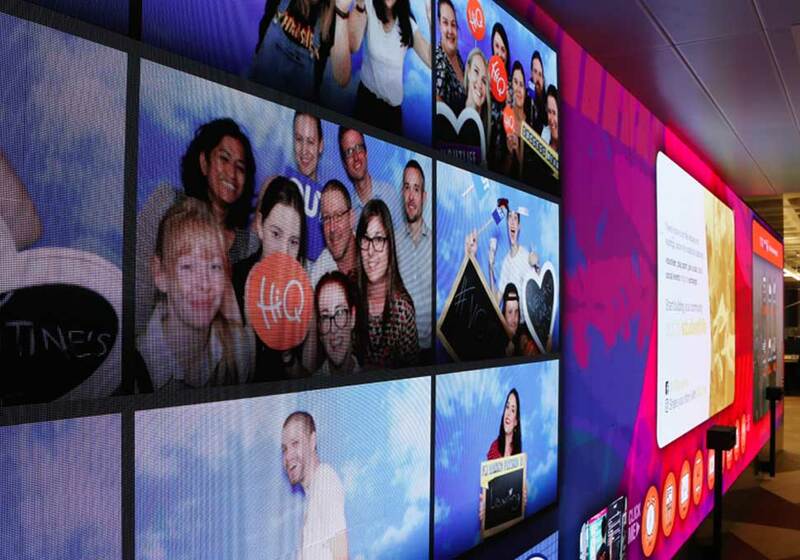 At HiQ, this includes sending content from iPads directly to digital walls. Programs can include any image, video, audio, stream or website. Videro allows dynamic websites to display on any screen in the space. Websites can be searched on an iPad, sent directly to a digital wall then browsed live to share information with large groups of students. I worked to develop a number of web solutions to display on HiQ screens. This included simple surveys coded using HTML and tracked with Google Analytics (see furniture survey video below). I also engaged web developers to create interfaces for data such as room bookings (from Outlook calendars). 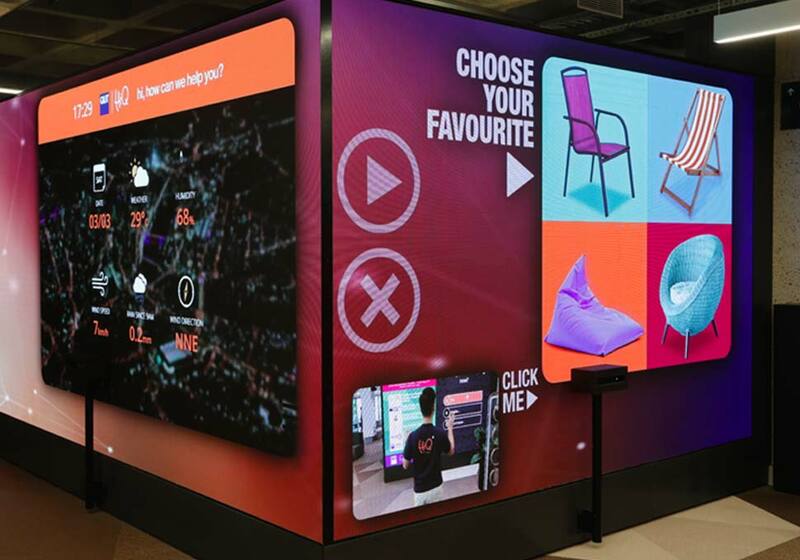 The QUT Students site was considered the single point of truth for HiQ. By displaying a website wherever possible, I eliminated manual errors and duplication of data on high profile screens.